Hi, I am interested in your 1976 Ford F150 (stock #CTP2347) listed on Autotrader for $16,900. I'd like to get more information about this vehicle and confirm its availability. 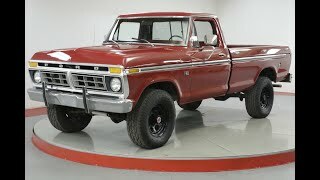 Worldwide Vintage Autos is pleased to present this 1976 Ford F150. - New paint bodywork. Ford Cherry Red. Done right. Look at the bed!